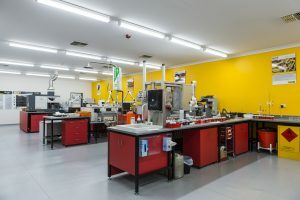 Our S·O·S laboratory is located at our head office in Enfield, Adelaide. We offer a range of fluid analysis services that will help you achieve your productivity and cost per hour goals through early detection of fluid deterioration. Find out more about the fluid analysis services we offer or book a tour of our laboratory and we will be happy to show you around.